Here in the guesthouse Pension Summererhof you are at the intersection of the full diversity of South Tyrol. Between mountains and city: Below us, there is the old Episcopal city of Bressanone with its cosy corners, bustling streets and arcades, and the sunny Cathedral Square; above us, there is the wide world of mountains, the hiking and skiing paradise on Mount Plose – accessible by cable car in just a few minutes. And the best part: You will receive the BrixenCard and use it free of charge! 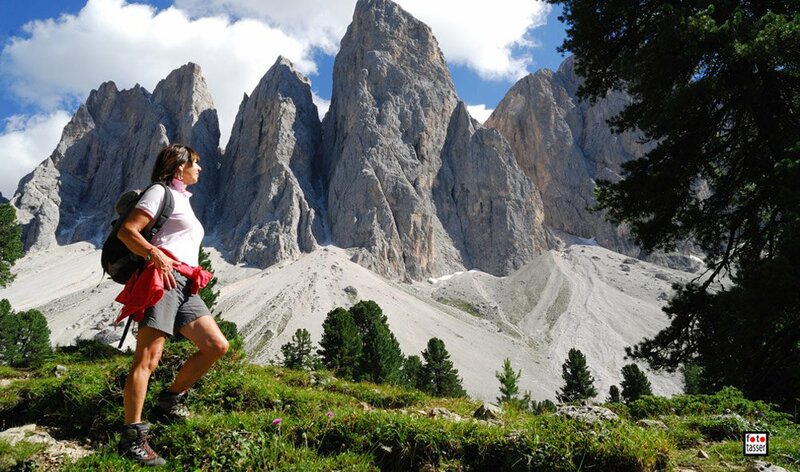 Gröden/Val Gardena or Corvara /Alta Badia – For people who love the bustling life even in the middle of the mountains. 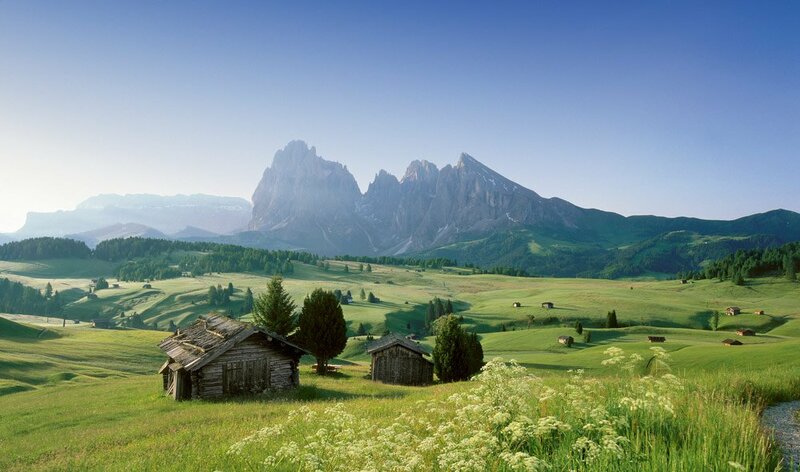 Alpe di Siusi – The largest mountain plateau in Europe. Bolzano – South Tyrol’s capital – worth a visit not only because of “Ötzi”, the famous “Iceman” (30 km). Visit the museum free of charge with the BrixenCard. MMM Messners Mountain Museum –Reinhold Messner has set up a museum on the sprawling grounds of the Castle Sigmundskron – visit it free of charge with the BrixenCard. Merano – Traditional spa town (50 km) with the overwhelming beauty of the flower gardens of Castel Trauttmansdorff. 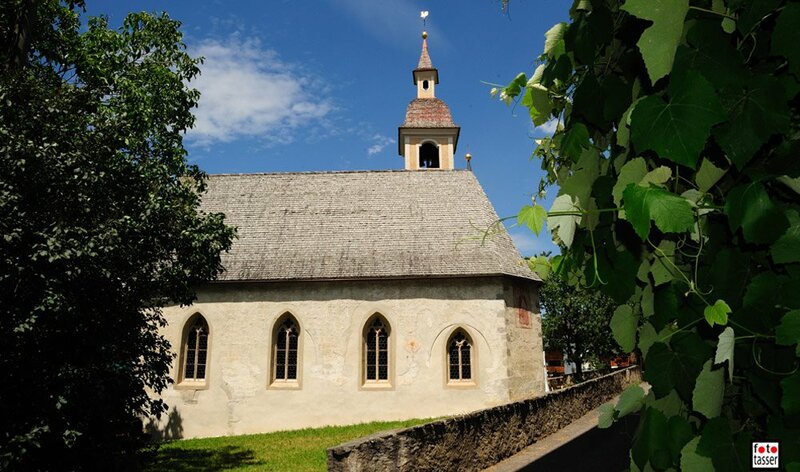 For art lovers: many old churches at your doorstep (Meluno, Cleran, Corniolo), 80museums in South Tyrol (free admission with the BrixenCard), a number of fabulouscastles (in the vicinity: Castel Forte, Castello di Rodengo, the Bishop’s summer residence in Velturno and many others). For lovers of natural history: The post-glacial pyramids of Renon, the geologically interesting gorge of Bletterbach, the Gilfenklamm Gorge in Vipiteno, particularly popular with kids, etc.